When referee Norbert Huata blows his whistle at Kiwitea Street on Sunday to begin another OFC Champions League quarter final the clock will also restart on Auckland City’s record-setting defensive streak. After James Naka netted a first half goal for Western United in their group stage opener last season, the Navy Blues then posted six straight clean sheets on their way to their ninth title, along the way surpassing a 16-year-old record set by Wollongong Wolves (528 minutes) in the 2001 OFC Club Championship. They also went past the OFC Champions League-era record of 513 minutes set by Vanuatu’s Amicale and goalkeeper Chikau Mansale across the 2011-12 and 2012-13 seasons. They have since added another three shut-outs to begin this edition of the Champions League and extend the streak to a whopping 863 minutes and counting, with Eñaut Zubikarai in goal for all but 45 minutes of that streak (Danyon Drake played a half in last year’s group stage). Solomon Warriors are the next team to have a crack at breaching those defences when they take on the defending champions in their quarter final in Auckland on Sunday afternoon. City’s miserliness has been matched on the domestic front with a run that stretches back 918 minutes since January 13 and is now paused until the start of the 2018-19 ISPS Handa Premiership. That run dwarves the previous record of 546 minutes set by Waitakere United in 2007-08 and which had stood for ten years without being threatened. Across both competitions, the Navy Blues have not had to pick the ball out of their own net for 1188 minutes. To attempt to put that in a global perspective can be difficult but the world record, according to the International Federation of Football History and Statistics (IFFHS), for a national league competition is 1816 minutes set by Vasco de Gama in the late 1970s but daylight is second on the list with the top 10 all between 1250 and 1450 minutes. At 918 minutes, Eñaut Zubikarai and Auckland City would currently sit around 50th on the all-time list but would jump up towards the top 20 if they could reach the rarefied air of 1000 minutes without conceding at the start of next season. 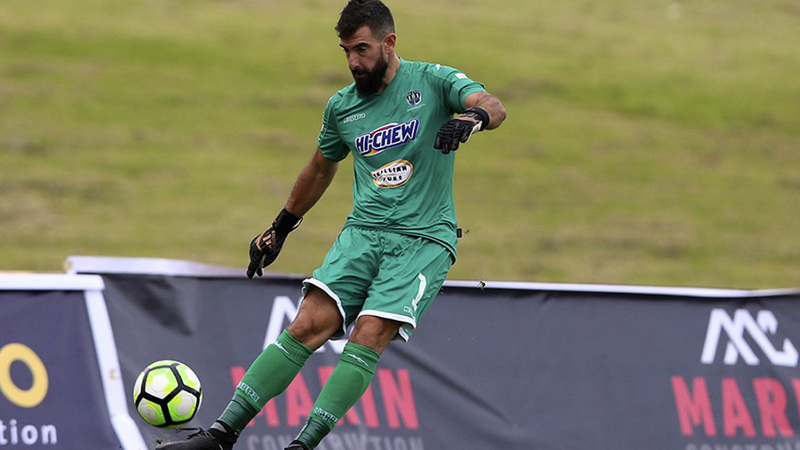 Two-time OFC Champions League golden glove winner Jacob Spoonley who won half a dozen winners medals in the competition and once helped Auckland City go through the 2010-11 champions league season without conceding at home says the run may not be getting the recognition it deserves. “Some find it very easy to be dismissive of New Zealand teams’ achievements in local or regional competitions,” Spoonley says,” but you put the numbers down on paper and this is heading towards that globally significant category,” the former All White turned lawyer and television football analyst said. “This isn’t just a locally or regionally great run that they’re having. It will take decades to recreate. Spoonley elaborated on the key ingredients he saw in the current run by the defending Oceania champions – experience and the depth to change players without a drop in performance. “First of all, it’s probably important to acknowledge that there have been Auckland City teams in the past that have been equally as good on paper but just haven’t been able to string together the games that current team has, and that’s what separates this team from those previous groups. “If you look back at the likes of Ivan [Vicelich] when he came back in to the team and when Ramon took over – but even harking back to Allan Jones teams that had the likes of Jonathan Perry, James Pritchett and Greg Uhlmann at the peak of their powers. “The backbone of any Auckland City team has been defensive solidity and what I think you’ve seen this year is the likes of Angel Berlanga coming into that bracket where he is confident and calm in his own personal ability which lays the foundation for other players to play in a similar manner. “Darren White is also entering that 28-32 age bracket when as a defender you’re very composed and you’ve got that experience, and you’ve got Eñaut Zubikarai with all his La Liga experience. “The interchangeability is also important. Someone like Te Atahwai Hudson-Wihongi can come in, Djordevic is there in the background and then Dan Morgan is coming into that 26-28 age bracket that pre-empts the point where a lot of players peak. So if you look across that back four that is an incredibly experienced back four. “The other element is very important is the depth that the club has got. The ability to interchange parts without sacrificing any quality. You take out Dan Morgan and you bring in say, an Alfie Rogers and you don’t lose much. There are others too and you’re not sacrificing any quality in the players that are perhaps seen as second or third cab of the rank.